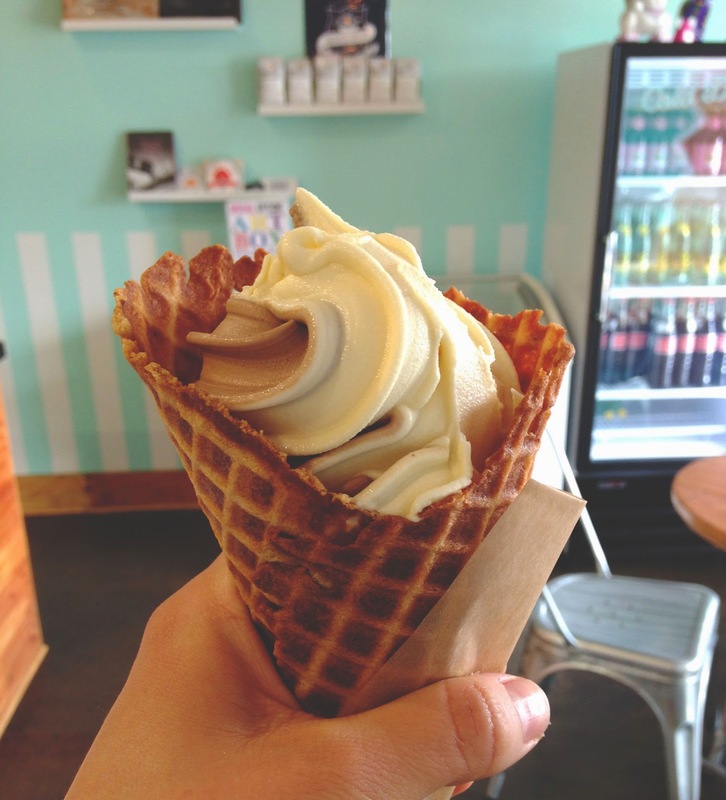 Fat Cat Creamery + A Giveaway! Hey everyone, remember when it was warm out? Yeah me neither. I can't seem to wrap my mind beyond my winter boots and chunky sweaters and scarves and ANGER TOWARDS THIS COLD. But you see I have these pictures of me eating ice cream outside on a sunny warm day last weekend at Fat Cat Creamery with my mom and dad, donned in my favorite yellow shorts (atop painfully pasty legs, you're welcome in advance). So while I can't even fathom that it was actually warm and lovely out a mere five days ago, I'm going to have to use my context clues here and just believe. 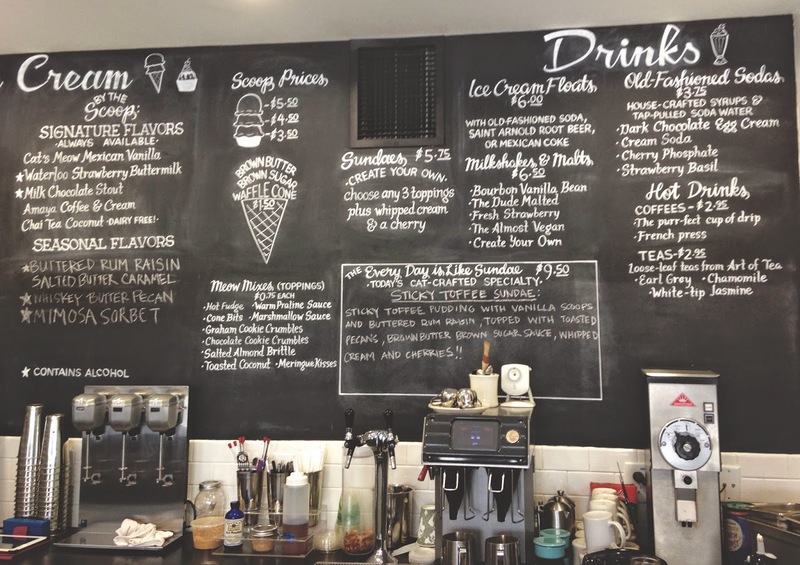 I have heard nothing but rave reviews about Fat Cat Creamery in the Heights, and I was so excited to try it the other day. I was also excited to learn that all of the hype was completely warranted. First of all, the inside is adorable. 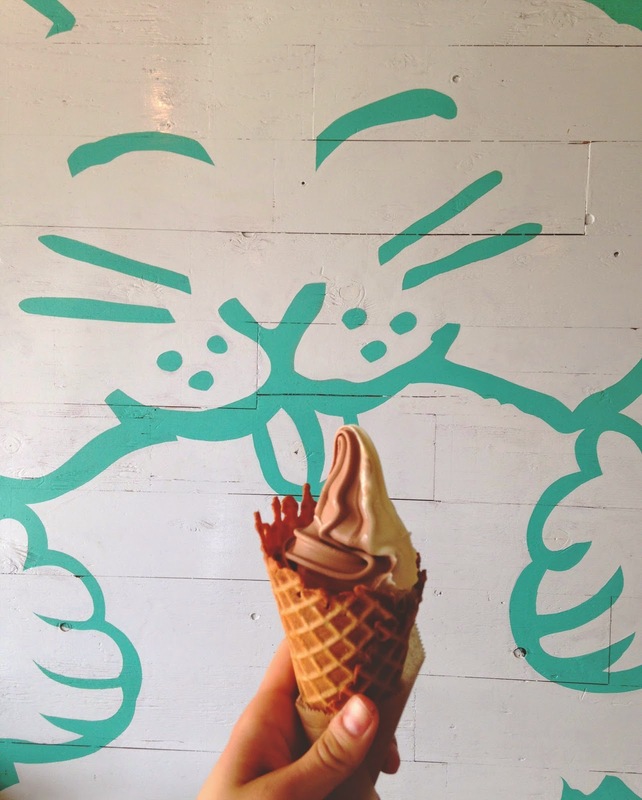 When you walk in you're greeted with minty hues, old school bottled drinks, a chalkboard menu, and a giant mural of a fat cat, #obviously. My dad ordered the frozen yogurt swirl, which on that particular day was a combination of horchata and chocolate flavors, in a waffle cone. I took a sample of his, and it was so freaking unbelievable I had to order it myself. 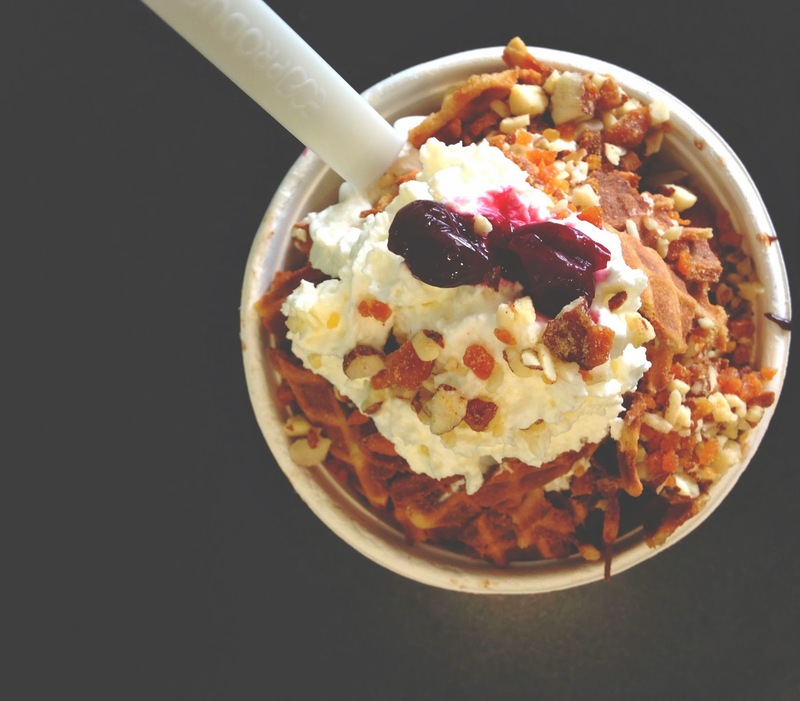 Now listen up: This frozen yogurt was not your ordinary, sad, this-tastes-healthy frozen yogurt. Au contraire, this frozen yogurt was your EXTRAordinary, UN-sad, this-is-so-delicious-it-can't-be-healthy frozen yogurt (though if it is, then all of my dreams have officially come true)! The pronounced cinnamon in the horchata danced together beautifully with the rich chocolate. Thick and ultra creamy, I truly did not feel like I was missing out on eating ice cream. Also, the employee there asked me if I would mind if she put crumbled cookies at the bottom of the cone to help hold it all in. Umm, is there any answer but yes to that question? The result was an amazing cookie surprise to finish off the whole glorious event of eating my Fat Cat fro-yo. And an added bonus? I didn't feel uncomfortably full and dehydrated after eating it like I normally do after eating ice cream (though after my dinner of bread, cheese, two bowls of spaghetti, and wine that night, I was whistling a different tune, #help). My mom ordered a salted butter caramel sundae, topped with (at the suggestion of the magical cookie surprise lady) nuts, toffee, crumbled waffle cone, whipped cream, chocolate, and a cherry. Even though this sundae was completely different from the soft serve, it was equally as divine. The salted butter caramel ice cream is pure velvet lusciousness. 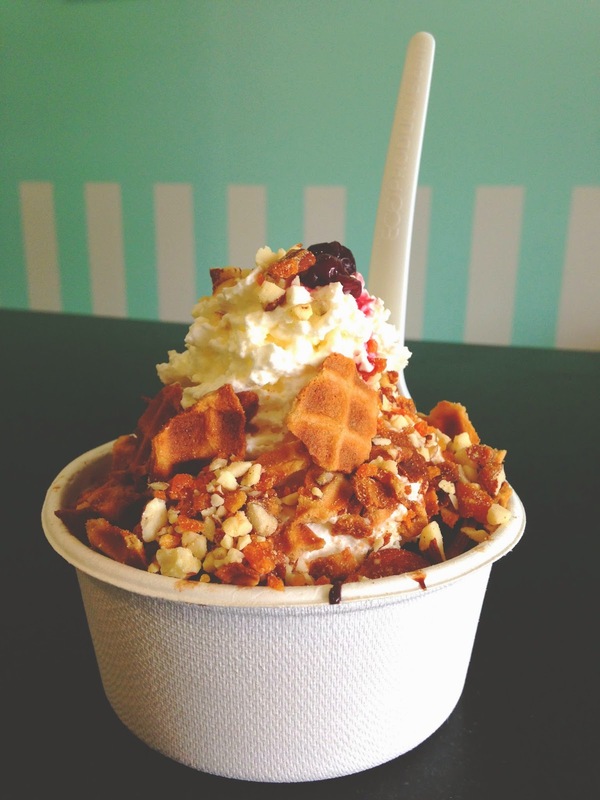 The toppings were incredible, and the real stars were the toffee and waffle cone. 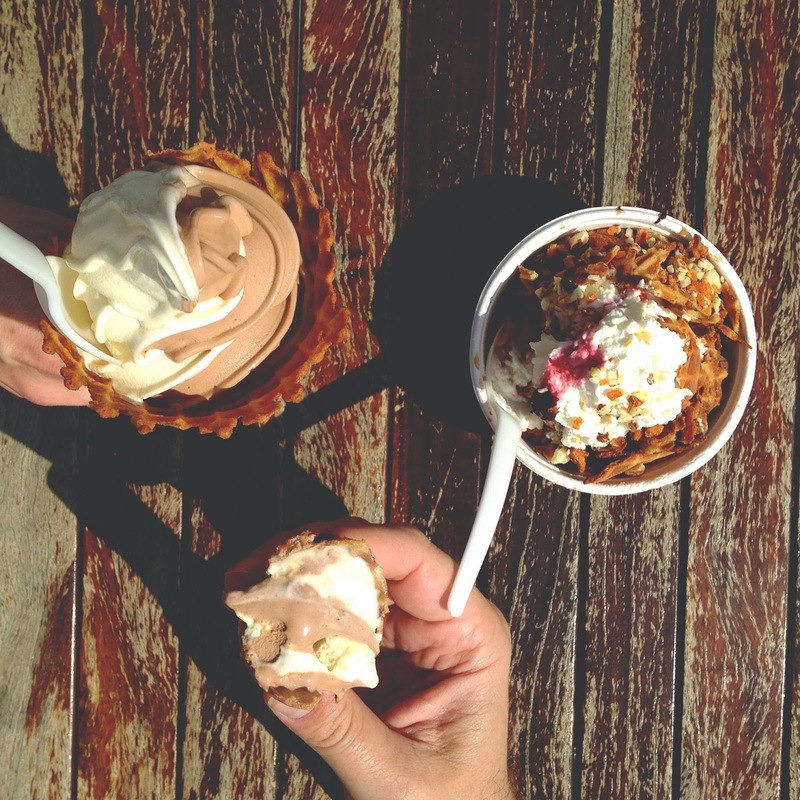 Sticky, sweet, salty, and smooth, the sundae was a true indulgence and pleasure to partake in. So seriously, believe the hype. 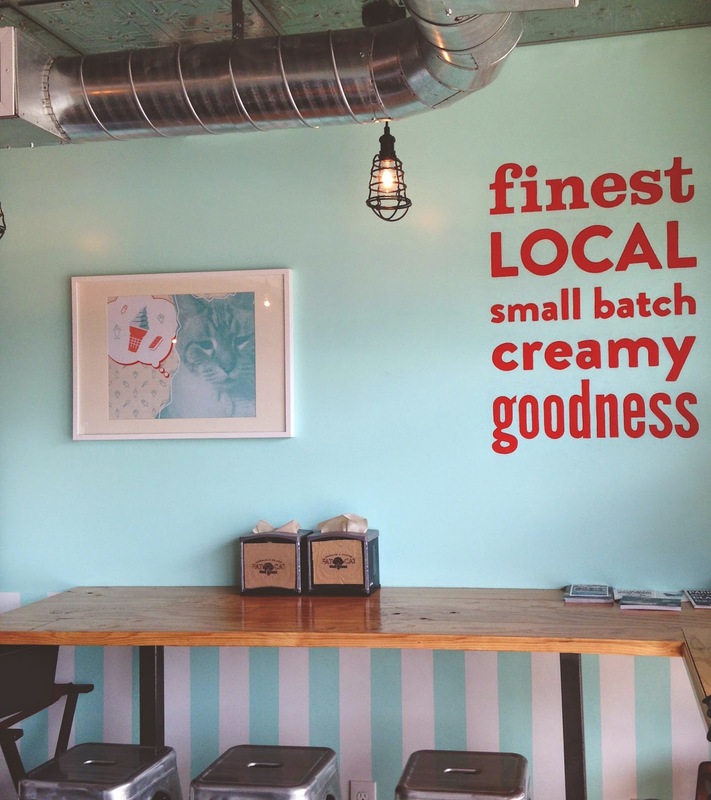 Fat Cat Creamery is just as amazing as everyone says it is. I will absolutely, 100% be going back! And what makes this place even more likeable is their involvement within the community. 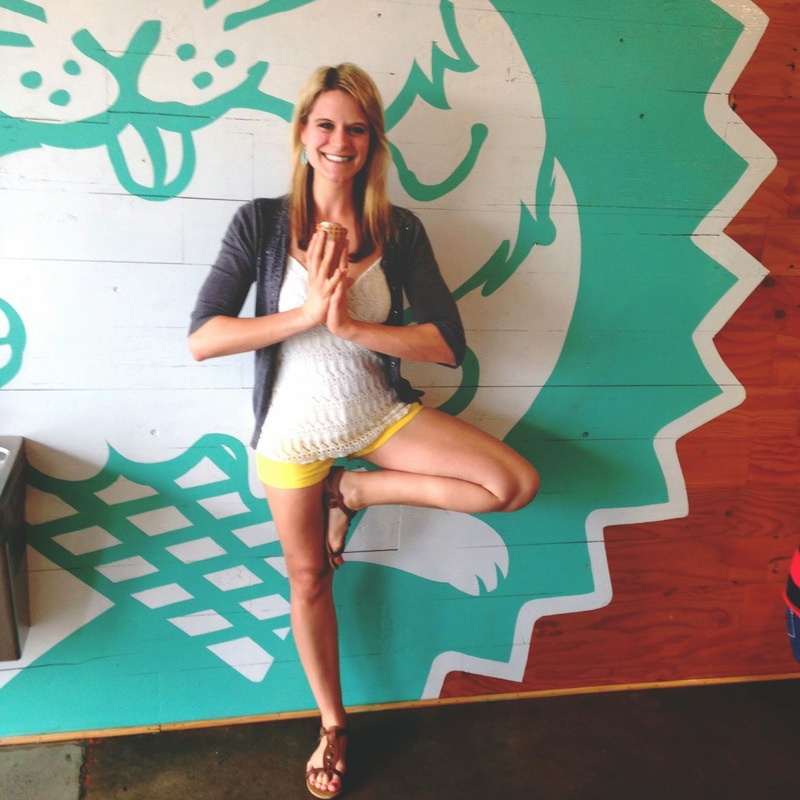 Fat Cat was a sponsor of Big Power Yoga's 40 Days of Yoga program this winter (WHICH I FINISHED TODAY! AND IT WAS CRAZY AND AMAZING! ALSO I CAN'T FEEL MY SHOULDERS!). 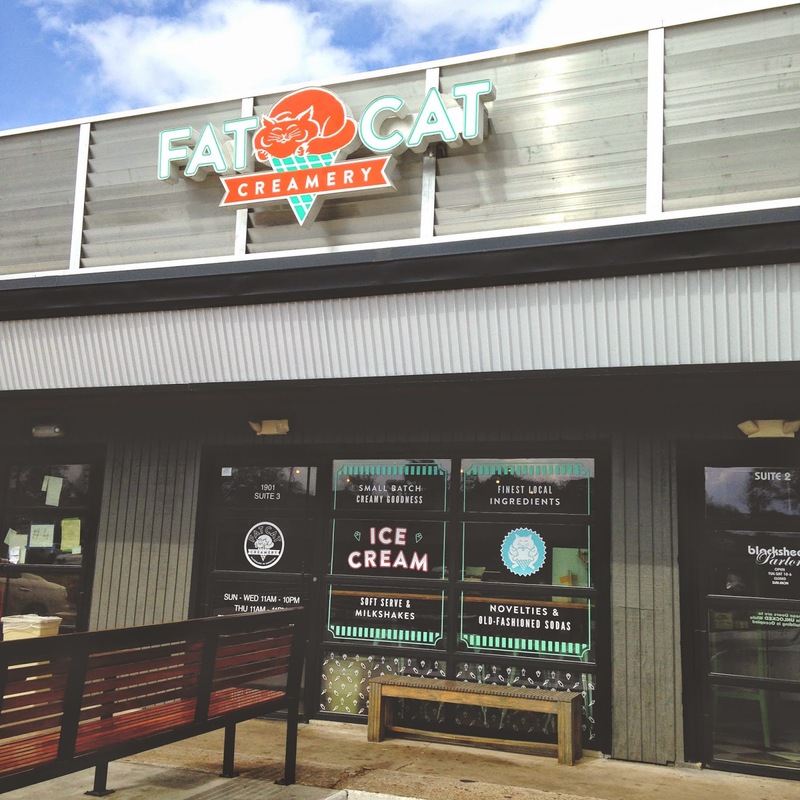 Additionally, Fat Cat Creamery is one of the featured restaurants in the 2015 Houston Press Menu of Menus® Extravaganza, which I will be attending this year! The Menu of Menus® Extravaganza, presented by Stella Artois, is one of Houston's largest food & wine events featuring over 40 area restaurants alongside wine, beer and spirit sampling. The event will also feature the 4th Annual Iron Fork Chef Competition presented by Whole Foods Market. The Iron Fork competition will showcase two of Houston's most popular up and coming chefs as they face off in a head-to-head cooking competition that will be judged by local area celebrities. The winning chef will receive the "Iron Fork" award and bragging rights for the next year! During the exciting cooking competition, guests will enjoy cocktails, live music and food sampling from a number of the city's best restaurants. Tickets include food and drinks for the evening. One lucky Adventures in a New(ish) City reader will receive two (2) general admission tickets to this year's Menu of Menus® Extravaganza, held at Silver Street Station in Houston on March 31 from 7:00 - 10:00 pm. To enter, all you have to do is "like" my Facebook page (if you don't already), and tell me in the comments section of This Post what your favorite restaurant in Houston is! The contest will run for a week, starting on Friday, February 27, 2015 at 9:00 am CST, and ending on Thursday, March 5, 2015 at 11:59 pm CST. One lucky winner will be picked at random and announced Friday morning, March 6, 2015! 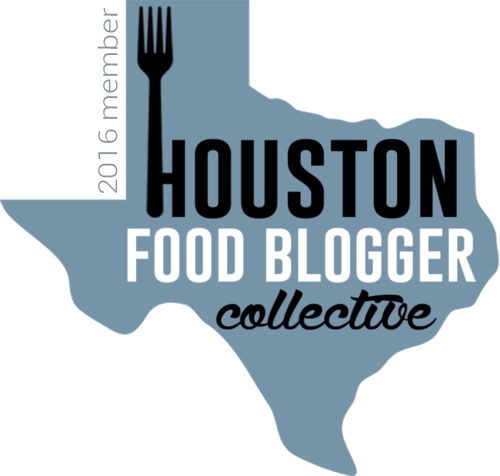 So all you Houston food-lovers, this is definitely the contest for you - Best of luck! Awesome Jamie, I haven't been there yet but I've heard nothing but great things! Also Jamie, to make sure you're entered in the contest, be sure to like the Adventures in a New(ish) City Facebook page, and let us know your pick in the comments section of this post: https://www.facebook.com/AdventuresInANewishCity/posts/781155215299610. Thanks so much for sharing! My favorite all-around place in Houston has to be Oxheart. I always think I'm not going to like something on the menu and every time, it's amazing. I should just learn to trust them. My favorite place in Houston is Istanbul grill. Thanks!!! That sounds so delicious Bridgette! To make sure you're entered in the contest, be sure to like the Adventures in a New(ish) City Facebook page, and let us know your pick in the comments section of this specific post: https://www.facebook.com/AdventuresInANewishCity/posts/781155215299610. Thanks so much for sharing, and best of luck!